The Melbourne launch of Ann McGrath’s latest book. To be launched by Professor Marilyn Lake (University of Melbourne) with Dr Liz Conor (ARC Future Fellow, LaTrobe University). The Sydney launch of Ann McGrath’s latest book. To be launched by Stan Grant with speakers Professor Ann Curthoys and Professor John Maynard. 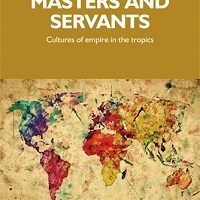 Claire Lowrie’s Masters and Servants: Cultures of Empire in the Tropics (Studies in Imperialism Series, Manchester University Press) will be launched by Ann Curthoys. Professor Curthoys will deliver a lecture ‘Looking for gender? 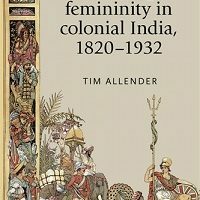 Writing Aboriginal-settler relations into Australian political history‘, prior to the launch. RSVP Alice Knaggs by 10 June 2016. Frances M. Clarke and Rebecca Jo Plant have won the Berkshire Conference Article Prize for the best article published on women, gender or sexuality. The winning article was ‘“The Crowning Insult”: Federal Segregation and the Gold Star Mother and Widow Pilgrimages of the Early 1930s’, Journal of American History 102: 2 (September 2015).